Please join us for a rain barrel workshop! 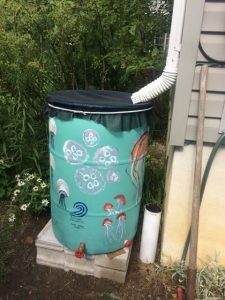 We will be hosting a rain barrel assembly demonstration and presentation on Saturday June 9th, We have 20 rain barrels available to build, pre-order required. You must attend the workshop to build ad take home a barrel. You will receive a 55-gallon plastic rain barrel with high quality buckhead fittings and a top screen. Speakers Bill Hoffman of American Water Management and Bill Stuempfig of Surfrider Foundation South Jersey will lead a presentation on water harvesting and controlling runoff. Bill Stuempfig will help participants build their rain barrels. Carol Jones of Surfrider Foundation South Jersey will demonstrate how to personalize your barrel by painting.